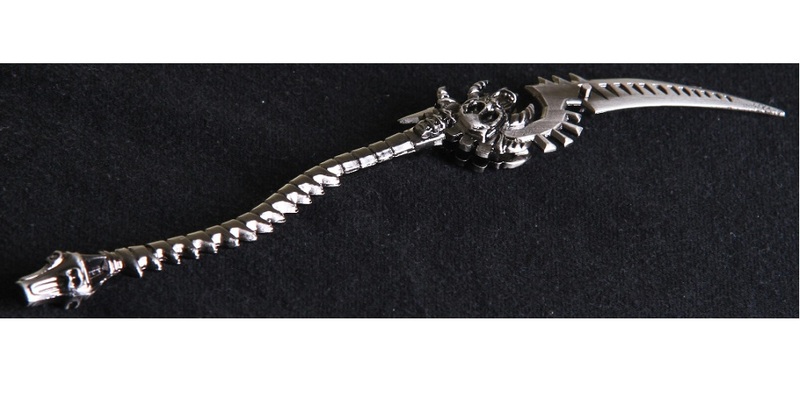 From Dante's Inferno comes this collectible Scythe Letter Opener. Dante's Inferno is based loosely on the classic poem The Divine Comedy. A veteran of the Crusades, Dante chases his beloved Beatrice to free her sould from Lucifer's grasp. The game takes you on an epic quest of vengeance and redemption through the Nine Circles of Hell. Dante's Scythe Letter Opener is an exact replica of the weapon wielded by Dante while in long spear mode. Opening your mail? Everyone better take a step back!